I’m a skeptic of Christian Rap as most of the guys think we’ll be forgiving of their wackness because they will supposedly be preaching the gospel. Wack is wack, whichever way you put it (secular or otherwise) and I refuse to gag my mouth about “disturbingly disoriented flows”. Now that that’s out out of the way let me get on to my review. The Saints, for those not in the know, are a Christian Rap duo made up of Krayzie Kay & Maison, currently affiliated with G Records. I had the privilege of listening to this track before release. 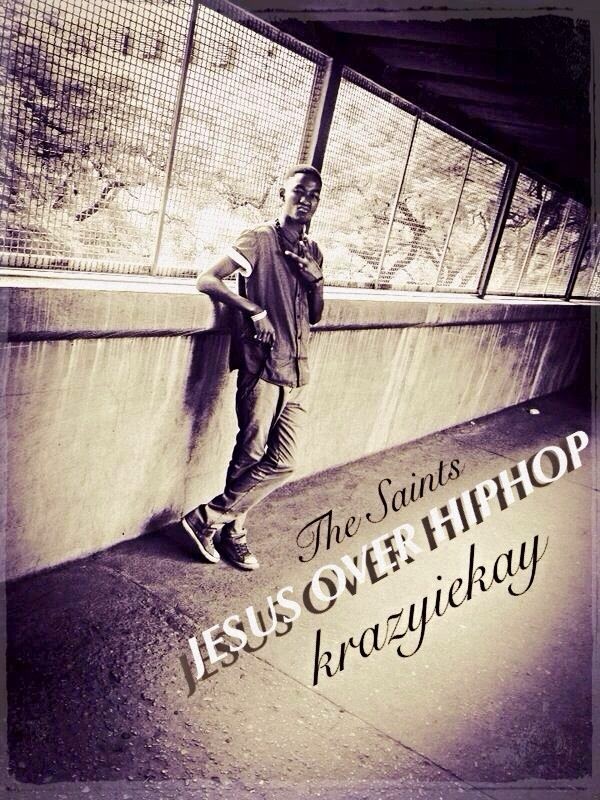 Jesus Over hip-Hop is a 2-part track, off The Saint's upcoming mixtape "By The Grace of God" with Krayzie K holding down the first part and Maison doing the second part. The beat is a conscious rapper’s delight, reminiscent of Immortal Technique tracks. Krayzie Kay went in on this one, with name drops from Meyniak, Savage, Ill Ceey and even yours truly (i.e. like my boy Sp3kkTrumn I still murk beats :D). Jesus Over Hip-Hop is a statement that although they love Hip-Hop they won’t put it above their Lord and savior Jesus Christ. It’s a rather short track with two 16s and sounds like an interlude if you’re oblivious of the fact that there is going to be a part 2.Daps to the young bro Krayzie Kay for a piece way beyond his years. Maison we’re IMPATIENTLY waiting for Part 2 to complete the verdict for this 2-in-1 track.